• In NCAA tournament history (men's or women's) there has only ever been one 16 seed to win a game. It happened in 1998 when Harvard upset the Stanford Cardinal. Though historic, this upset falls to five on this list because of the two key injuries Stanford suffered the week before the tournament. Two blown ACLs by members of the starting lineup paved the way for Harvard and nation leading scorer Allison Feaster, to take advantage of Stanford's misfortune. • Louisville stared at an opponent that was bigger, stronger, fasters, more experienced, and refused to be intimidated. The Baylor Bears had become a perennial power and were the defending national champions. In addition, Baylor returned star center Brittany Griner, arguably the best defender in women's college basketball history. • Pat Summit's Tennessee Lady Volunteers upset UConn in the Elite Eight. The Huskies were highly favored entering the tournament undefeated. While Tennessee dropped ten games that season, the third most of any tournament participant. 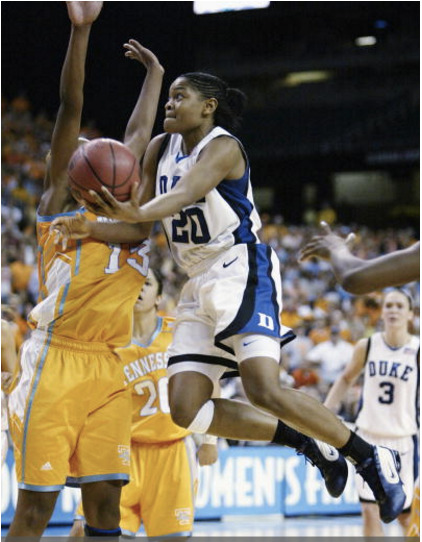 • Pat Summit's Lady Vols entered this Elite Eight matchup after winning the previous THREE CONSECUTIVE national championships. With superstars Tamika Catchings and Chamiqua Holdsclaw, the VOLs were expected to win an unprecedented fourth straight crown. That was undone when the Duke Blue Devils burst onto the national stage in the most dramatic of fashions. • The Mississippi State Bulldogs may have entered the national semifinal as a 2 seed, but they still played the role of David in this preverbal 'David vs Goliath' matchup. In dramatic fashion, Mississippi State snapped the UConn Huskies' unthinkable 111 game win streak. A streak that extended the previous three seasons.